Today is Sunday, and I am writing this on the occasion of Bea Franco’s 93rd birthday. I would’ve forgotten this entirely had it not been for the fact that just this morning I was putting some final touches on my manuscript, Mañana Means Heaven. Coincidentally, I was working on the Afterword, and it was a scene that took place on her birthday. I really think Fall is Bea’s season. Consider the following: she was born in the Fall of 1920. Her tryst with Jack happened in Fall of 1947. On the day I first walked up the cold steps of her porch, it was Fall of 2010. My book will hit shelves in Fall of 2013. 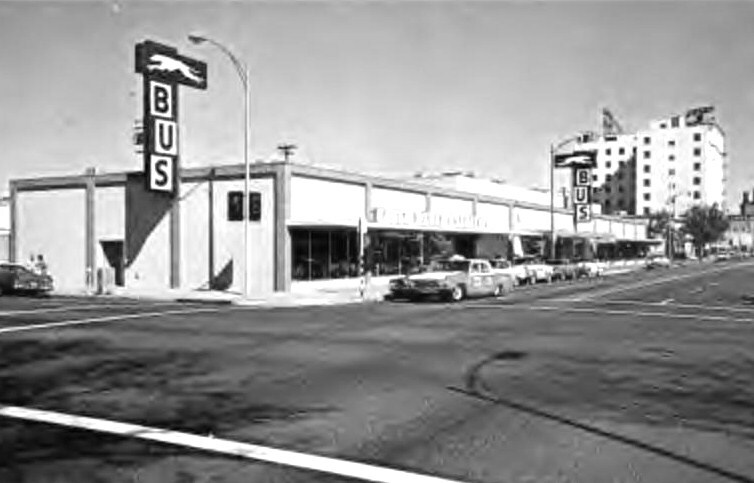 The Greyhound bus station in Bakersfield, where Bea and Jack met.